re(Jacob Kastrenakes @ The Verge) Android users will be able to choose third-party apps to handle their text messaging by default when the operating system's next big update, version 4.4 KitKat, eventually launches. On its developer blog, Google notes that many third-party SMS and MMS apps have already been made using workarounds to gain access to users' texts — a method that it doesn't quite condone. To remedy that, Google will begin supplying a proper way for them to be accessed in KitKat, alongside the option to choose a default app to handle them. The details come amid rumors that Google will also begin bundling SMS and MMS messaging right into its Hangouts app, creating a competitor to Apple's iMessage. Android Police first reported the rumor and also has several screenshots of what it says is the combined app in action. It also reports that Google will do away with Android's traditional Messaging app, leaving Hangouts as the only built-in text messaging option for Nexus devices. Though it's unclear how the rumored Hangouts app would switch between different types of messages, Android Police reports that each message will label what medium it was sent through. For it to be a true iMessage competitor though, Google would need to begin automatically sending SMS and MMS messages over Hangouts' own network, rather than relying on users to pair a contact's phone number with their Google account. 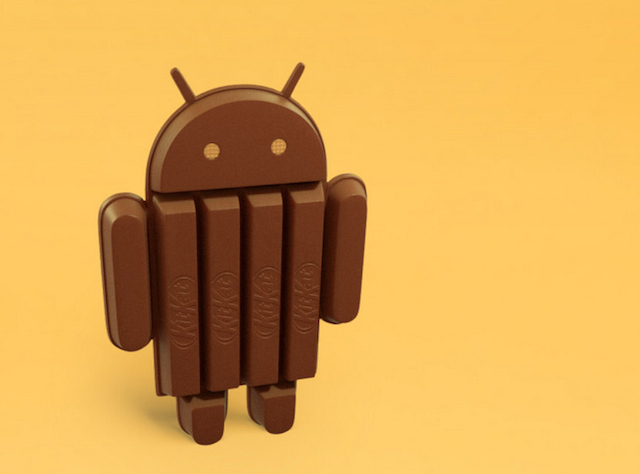 But while Google announced KitKat just over a month ago, few details have been properly announced so far — from the looks of things though, it won't be long before we know much more.